The HRD Ministry is soon planning to make participation in the National Institutions Ranking Framework (NIRF) mandatory for all higher education institutions in India. The move has come after the Ministry found an almost 16 percent drop in the participation of institutions this year as compared to last year. “While as many as 3,563 institutes in India had participated in NIRF 2016, this year witnessed a participation number of 2,995 only,” said the HRD Ministry. “The NIRF second edition had witnessed participation of only 6 percent of the total institutes in the country,” said the HRD Ministry even as it cited that the non-participation was due to lack of awareness and non-eligibility as per the set norms. If the HRD ministry figures are to be believed, India has 39,000 colleges, 11,000 standalone institutions and 760 plus universities that together constitute around 51,000 institutions. According to various media reports, the ministry is in talks with some higher education regulatory bodies like University Grants Commission (UGC) and looking at relaxing the ranking norms for the institutions, besides making participation mandatory. 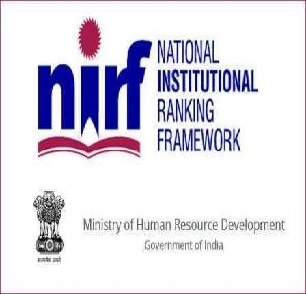 NIRF ranking method is based on five broad mandatory parameters – teaching, learning and resources; research and professional practice; graduation outcome; outreach and inclusivity; and perception. An institution can attain a maximum score of 100.